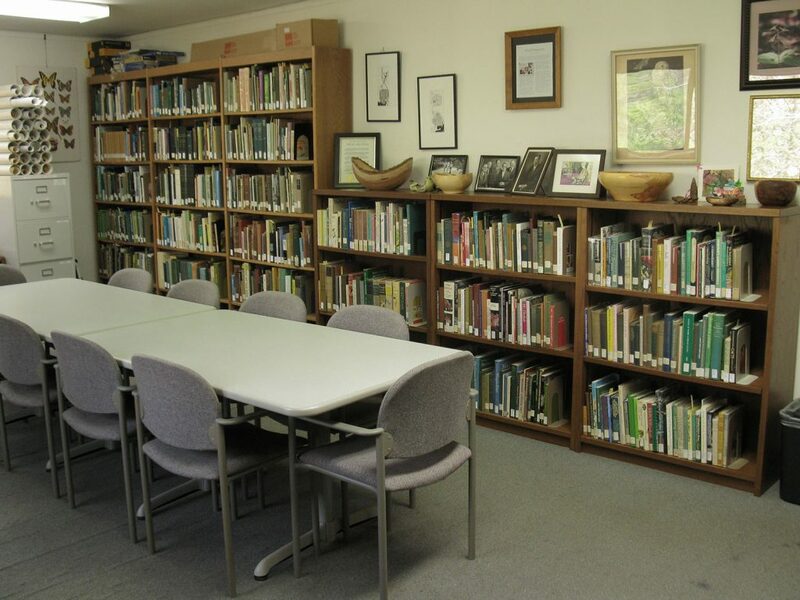 The Cole Library of The Botanical Gardens at Asheville serves as a center of botanical and horticultural information for members of the Botanical Gardens, current and Emeritus UNCA faculty, currently enrolled UNCA students, and the general community. The library contains a robust collection of books relating to botany, horticulture, entomology, and ecology, including a fine ornithological collection purchased with a grant from Bill and Ethel Wilson. 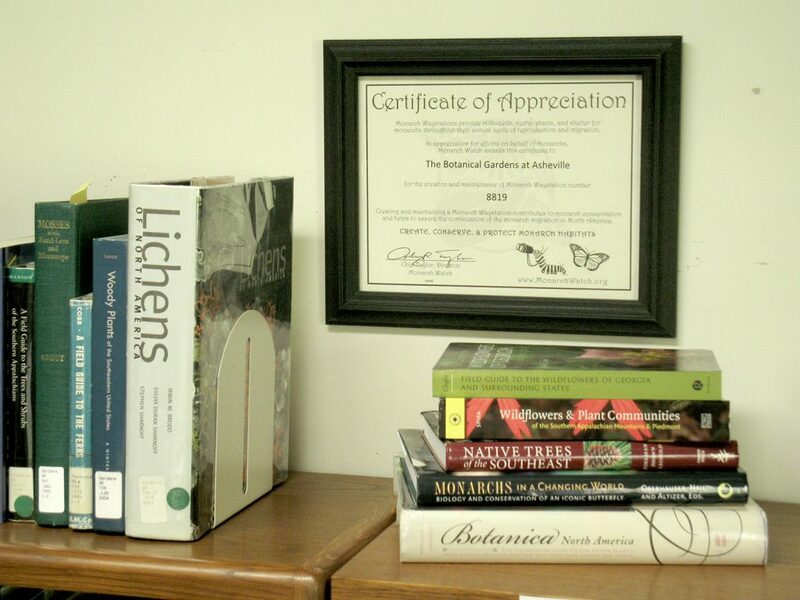 We maintain the library by gifts of suitable materials, donations, and through proceeds from certain endowment funds. Members of the Education and Horticulture Committees administer the library. Two generous Board members devote countless hours of volunteer service to the organization in our library: professional librarian, Elaine Smyth, and BGA archivist, Anna Nagy. The Cole Library is open from mid-March to mid-December during Visitor Center hours. During the winter when the Visitor Center is closed, you may use the library by appointment (828-252-5190). Our Cole Library books are listed through UNCA’s Ramsey Library online catalogue (bullpup.lib.unca.edu/library). The term “UNCA Gardens” following a book listing indicates we have the book here in our Cole Library. The online catalogue may be accessed from any computer. Check out privileges are limited to BGA members, UNCA faculty, and UNCA students. We welcome the general community to use the library’s books and other materials within the boundaries of the library. Books marked with green dots (reference collection) or red dots (special collection) do not circulate. All other books may be checked out for 3 weeks by individuals with identification as BGA members or UNCA faculty or students. The Cole Library is available for rental for meetings. It seats 10 people comfortably. For more information, click here.